If there's one specific make up item I don't hoard, it's mascara. Mascara is one of those essentials that once I find a gooden, I'll repurchase it again and again. This is the case with my trusty old Roller Lash. That stuff is legit my holy grail. Nothing has ever beaten it for me in terms of quality... That is until the lovely babes over at Falseyelashes.co.uk got in touch offering to send out the Maybelline Lash Sensational for me to try. I'd heard so many fab things about the Lash Sensational, the main selling point being that it's a dupe for Roller Lash so of course I was excited to try it! On first impressions, you can clearly see that the brush of the Roller Lash is substantially slimmer to the Lash Sensational which since using the Maybelline dupe, I actually find as a bit of a con. 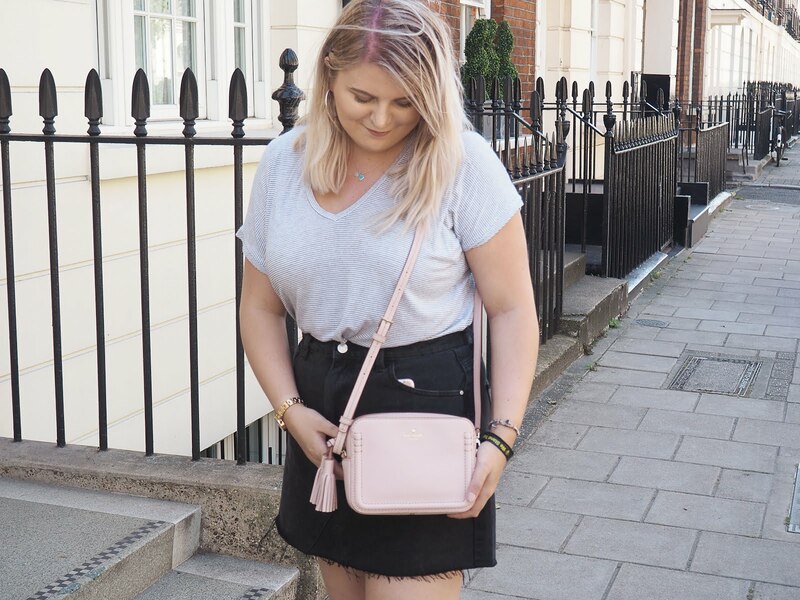 In comparison to the £7.95 bargain buy, Roller Lash lacks volume which is something I personally love in lashes - Particularly for a night time look. Although both mascaras are incredible (in my opinion), they definitely have their differences. For instance, as I mentioned previously, Roller Lash lacks creating volume on my lashes. However, it does amazing things when it comes to lengthening them so if that's something you struggle with, maybe hunt down a sample and give it a try. On the other hand, the Maybelline Lash Sensational definitely gives my lashes the volume I adore for a dramatic eye look. It's a winner hands down if my eyes are the main focus of my make up that day. Saying that, it is a bit of a bugger to remove. That stuff just does not budge no matter how hard I try! Pretty annoying when you wake up every morning somewhat resembling a panda, not exactly what I like to achieve. 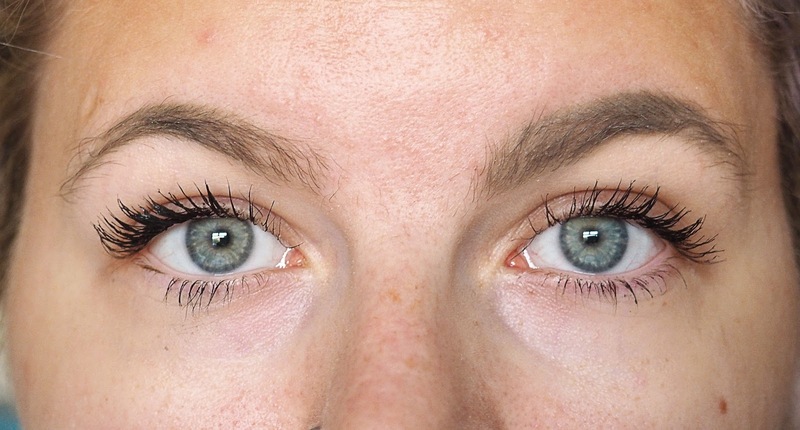 Please excuse my horrendous brows on that photo, let's just focus on the lashes ok.
As you can see, Roller Lash is amazing for definition too and adds a much more natural look whereas the Lash Sensational adds to the effect of "fluttery" eyelashes, something I'm sure we all wish we were born naturally with. 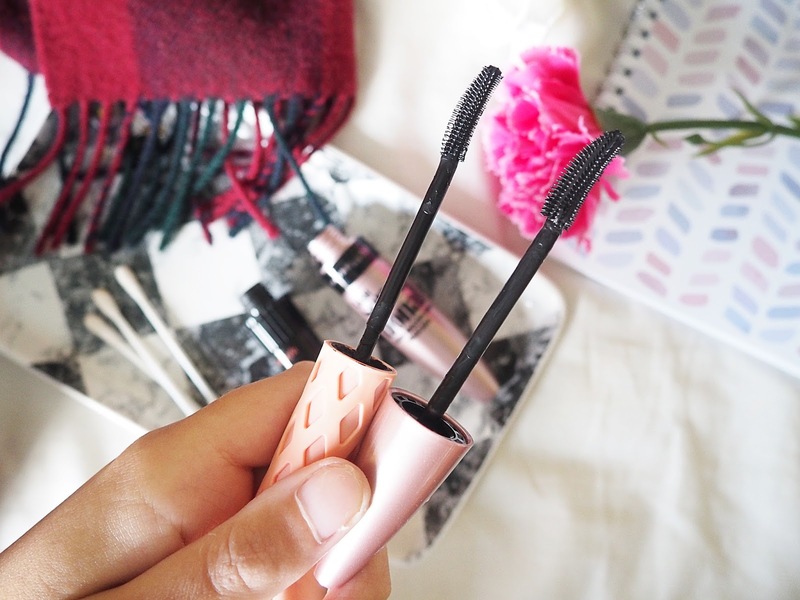 After receiving and trialling one of the best selling Maybelline mascaras, I can certainly see why it's often compared to the high end cult favourite. Although their differences are apparent, the brushes (especially the bristles) are practically identical. My opinion? I'm obsessed with them both, but I'd absolutely recommend, and much rather repurchase, the Lash Sensational anyday simply because of the £9 price difference. Gotta save you them pennies. Falseyelashes.co.uk also stock many more brands such as Red Cherry, Ardell and L'Oreal so make sure to head over to their website! The Maybelline one looks so much better, I love using the Maybelline one on the days I don't wear false lashes. I didn't realise it was a doupe! I am the same, its one thing I don't horde, I use them and bin them pretty quickly! These are two of my most favourite mascaras... I feel totally the same way about them! Lash Sensational is ridiculously hard to remove though, what's that about?? I'm totally the same, I just don't hoard mascara at all! I haven't tried either of these mascaras yet either but from the looks of it the Maybelline one is the winner in what I would be looking for! 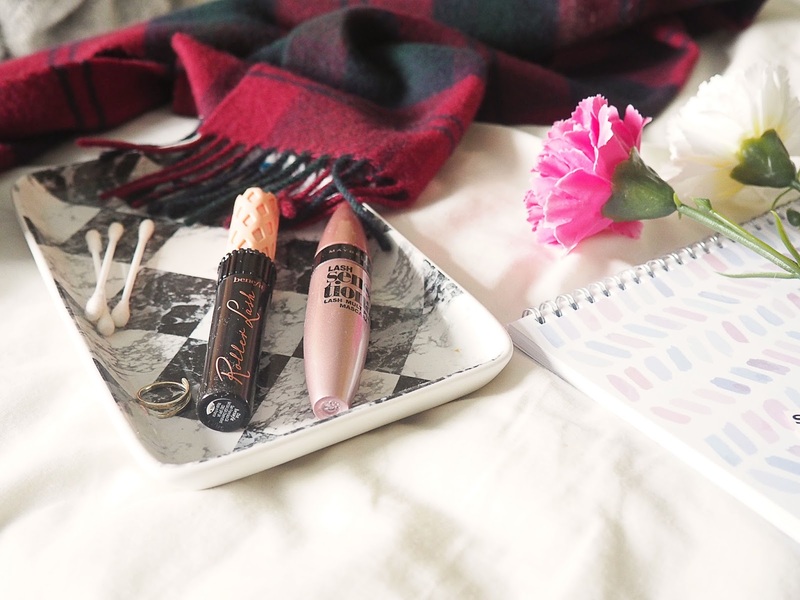 I love both of these mascaras so much - I can't actually decide which one I prefer more, lovely post! They're both amazing but there's actually a huge difference with the maybelline one isn't there?! :O I tend to stick to the same all the time aha. I have both of these and I love the Lash Sensational so much! It's so much less expensive and I feel like it looks a lot better on my lashes.